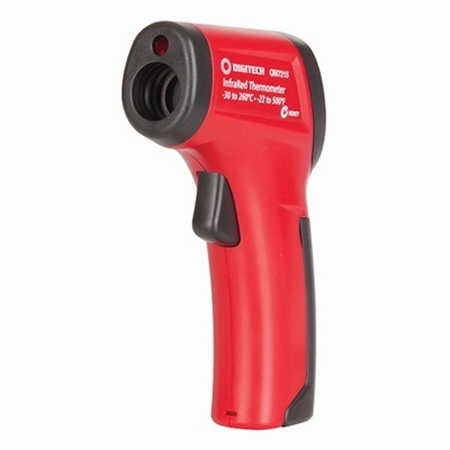 A low cost Infrared Thermometer for -30+260°C with laser sighting. 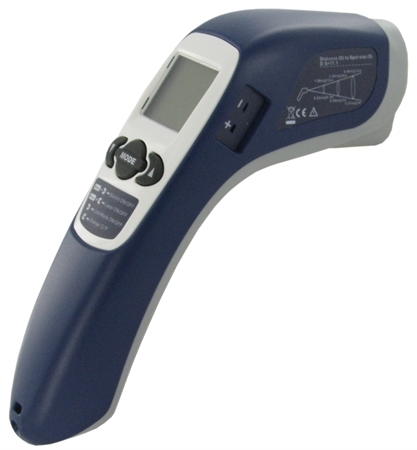 The TN410LCE Infrared Thermometer is a professional non-contact thermometer with circular laser sighting. 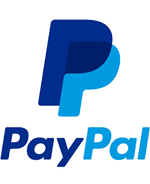 It also features a built-in socket that accepts K-type thermocouples. 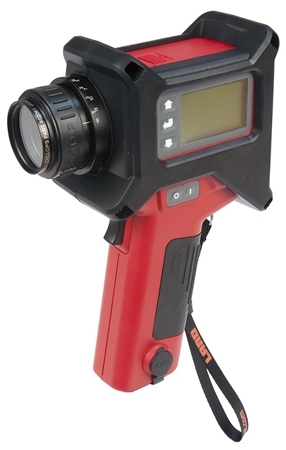 Infrared thermometers with built in contact type thermocouple probe. 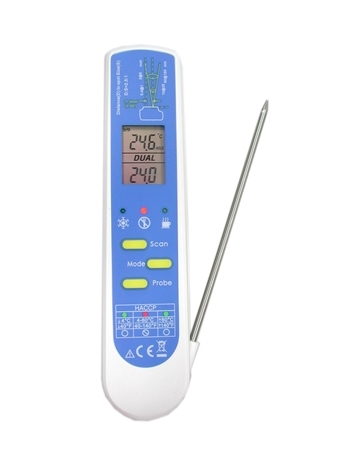 This dual sensors thermometer can be very useful with both non-contact and contact temperature measurements designed for food application. The new Cyclops 100L is a general purpose, high temperature, portable non-contact thermometer, designed for accurate measurement of temperatures in the range 550 to 3000°C, in applications such steel, glass plus other high temperature applications. The new Cyclops 160L is a general purpose, medium temperature, portable non-contact thermometer, designed for accurate measurement of temperatures in the range 200 to 1400°C/ 392 to 2552°F, in applications such steel, glass plus other medium temperature applications. 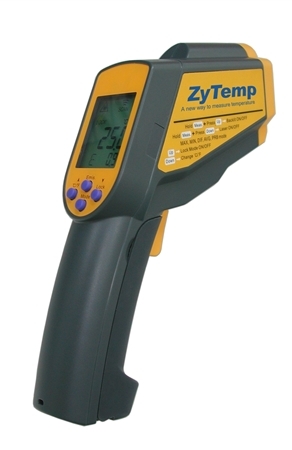 The unique features of the Cyclops 390L portable non-contact thermometer make it the ideal instrument for accurate non contact temperature measurements in hydrocarbon-fuelled furnaces.